In the long and storied history of Dobyns-Bennett High School, there have been countless graduates that have developed their personal talents and gone on to great professional success. Take a glance through the list of D-B alumni, and you’ll quickly discover some of our nation’s finest and most successful individuals. You’ll find the likes of business leaders, military generals, and captains of industry. 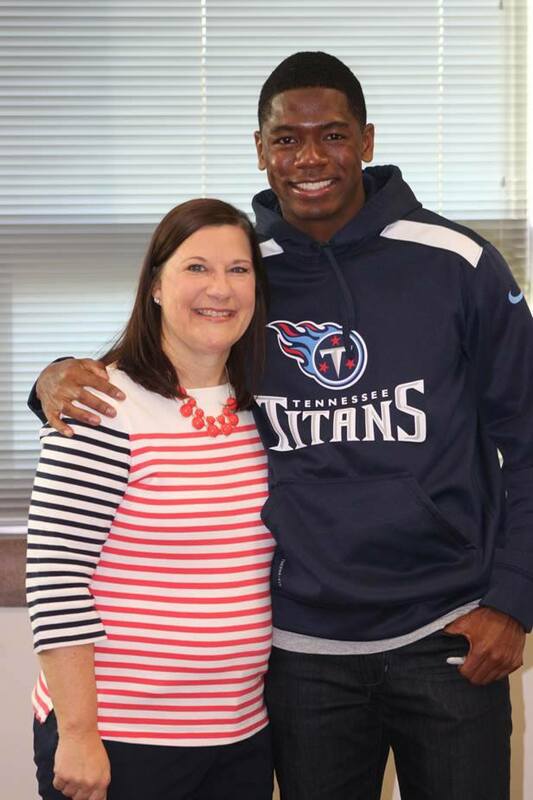 In April, one of D-B’s most recent athletic success stories returned to Kingsport to share his personal journey and impress upon our students the importance of education. 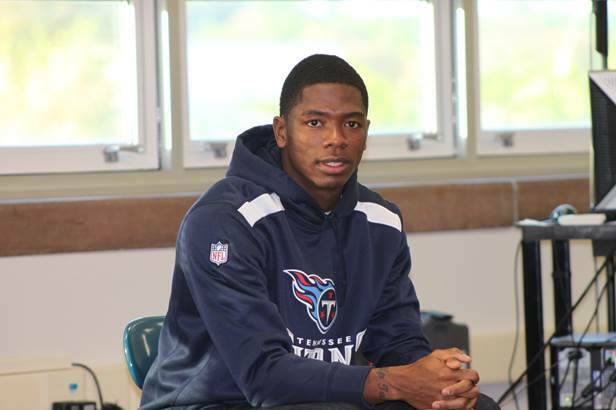 Current Tennessee Titan and D-B grad Coty Sensabaugh visited several KCS schools to share his message and encourage students to take advantage of the great educational opportunities in KCS. Through his talent, dedication, and commitment, Coty has been provided a platform where he can influence the youth of our community. How impressive that he takes advantage of this to come back and provide such a positive message to our students. What is even more impressive is that Coty doesn’t just talk the talk. He is serious about using his good fortune to help support the community that, in his words, provided him so much support during his development. On June 14, 2014, the 2nd Annual Sensabaugh Camp Classic will take place at J. Fred Johnson Stadium. This non-contact youth football camp is open to all children, boys and girls, from ages 6-17. In addition to receiving personal instruction from Coty, other NFL players, and coaches, campers will receive a camp t-shirt and lunch. But what sets Coty’s camp apart from many others (and also demonstrates his loyalty and commitment to Kingsport) is that the camp is totally free to participants. Yes… that is correct. There is no fee for any aspect of the camp. 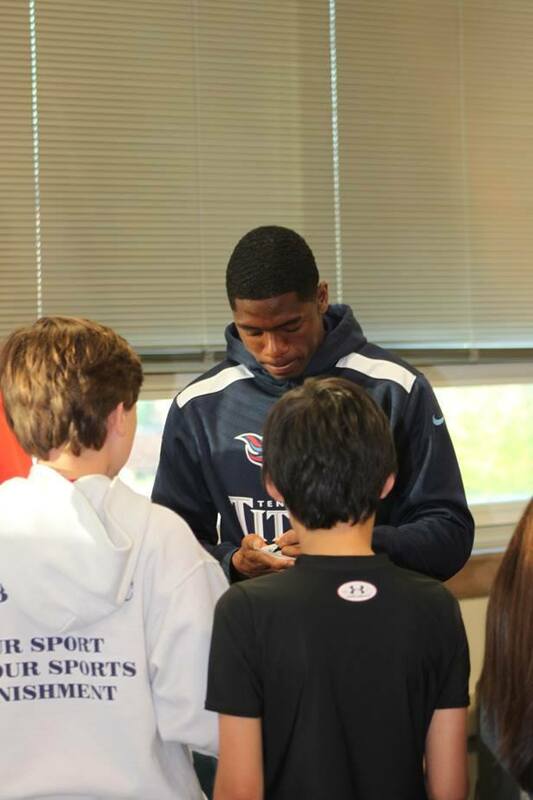 Children can come and learn about football, physical health, and teamwork from positive role models that take seriously the concept of using their good fortune to help others. For more information about the camp and to register, visit www.sensabaughcampclassic.com. Coty walks the walk. What a great example of someone who recognizes his ability and potential to positively influence our children and community. We give back… We are KCS!